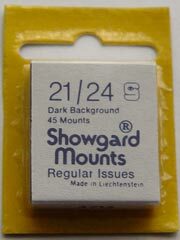 21/24mm Showgard Mounts - black backs. 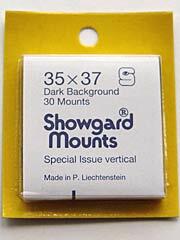 24/41mm Showgard Mounts - black backs. 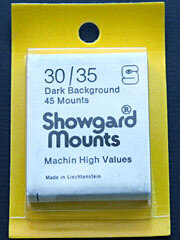 30/35mm Showgard Mounts - black backs. 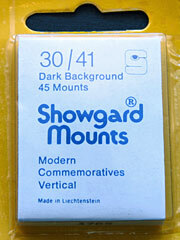 30mm by 41mm Showgard Mounts - black backs. 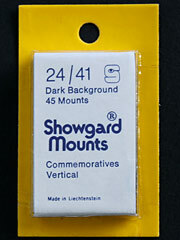 Clearface cut to size mounts for GB Vertical Commemorative stamps.